I spy with my little eye... a solo Exhibition by Lan Stanley. 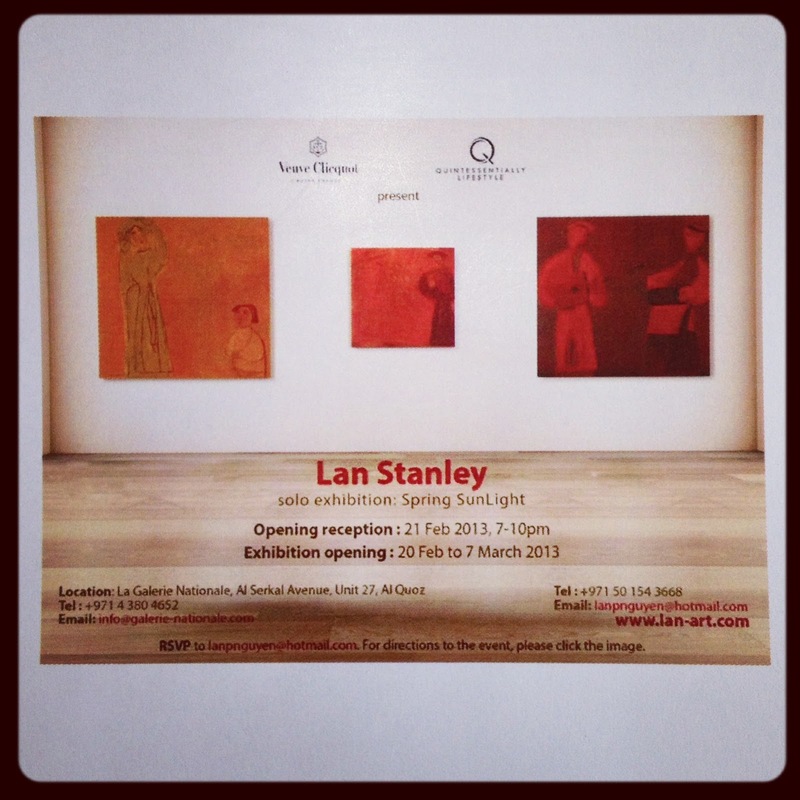 Join us tonight at the Galerie Nationale at the Alkersal Avenue in Al Quoz for Lan Stanley's first solo exhibition in Dubai. Born in Vietnam, Lan lived in the USA, in the UK, Hong Kong and now Dubai. This well travelled artist stayed very sensitive to her roots, "Spring Sunlight" will be showing paintings of traditionnal Vietnamese celebration scenes with dancing, and singing.